Inder Loves Folk Art: What's next? 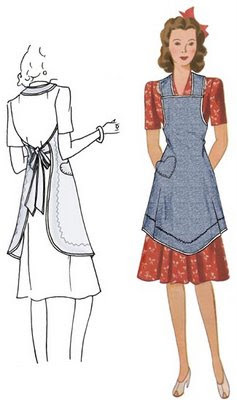 This may be my next project,* using a contrasting fabric for the neck, back tie, and pocket (which I think I will do in a leaf, rather than heart, shape). I'm also going to make my own bias tape, which will be a first for me. I've been reading up on continuous bias tape tutorials. This technique hurts the brain a bit (and involves more advanced mathematics than I have seen since I ended my formal math training in college), but I've been assured it's easy once you get the hang of it. I have fantasies of binding practically everything (hand towels, blankets, all kinds of baby stuff) in adorable, one-of-a-kind printed bias tape. Luckily, I find hand-sewing relaxing! Stay tuned! * Not including works in progress - I am also working on a crewel-work embroidered tote bag for my step-mom.